This is a good, basic method for making barbecue ribs. If you are just starting out, or looking for something simple, this recipe is the one for you. 1. 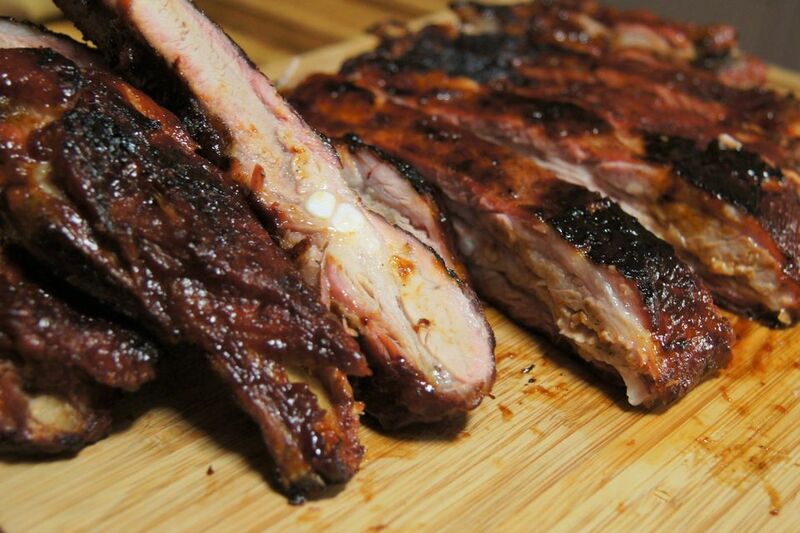 Prepare ribs by removing the membrane from the underside of the ribs. Trim off any loose fat or meat. 2. Prepare smoker or grill. You will want to hold a temperature around 225 degrees F/110 degrees C for 4 to 6 hours so plan accordingly. Season ribs with salt and black pepper and place on grill or in the smoker. 3. Cook until the internal temperature of the meat reaches about 175 degrees F/80 degrees C.
Brush with barbecue sauce. After about 10 minutes turn the ribs over and brush barbecue sauce on the other side. Continue doing this until the ribs are richly coated in sauce and tender.